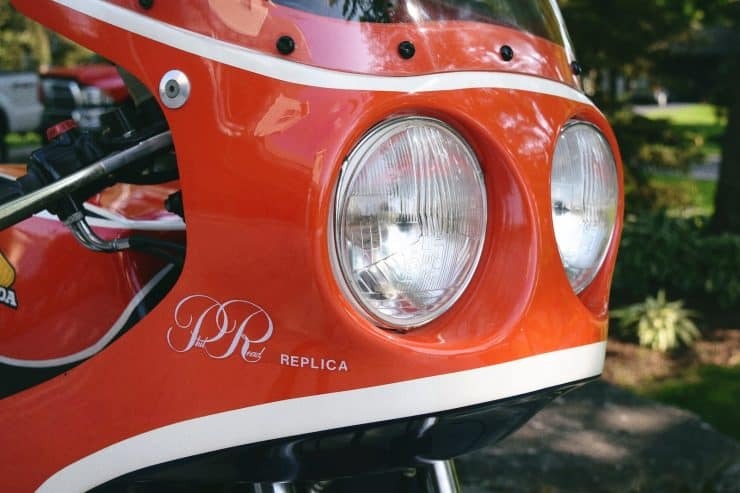 The Colin Seeley-built Honda CB750 Phil Read Factory Replica is a very rare motorcycle, approximately 150 were made and they have the distinction of being the first fully faired race replica available to buy off the showroom floor from a Japanese marque. 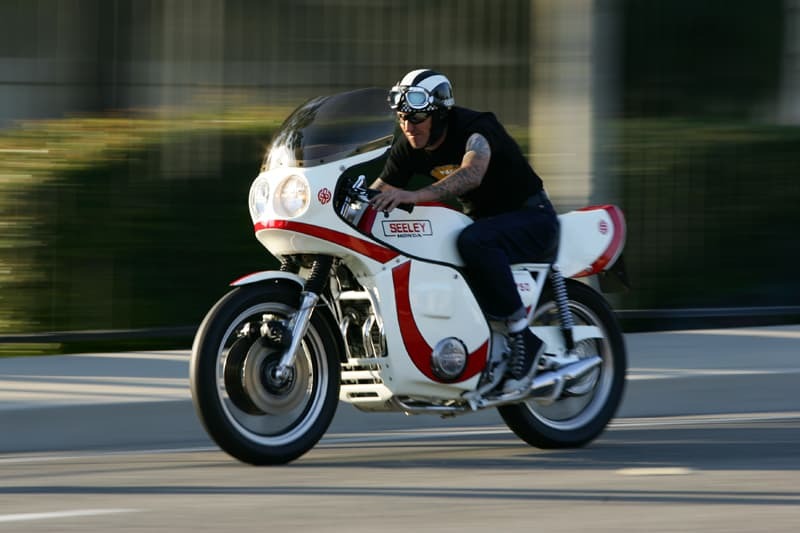 Upon retiring from competition at the end of the 1967 season, Seeley turned his attention to manufacturing frames and complete motorcycles for racing. Although he had no formal engineering training, he had an intuitive ability to bend and weld Reynolds 531 tubing into remarkably rigid frames. 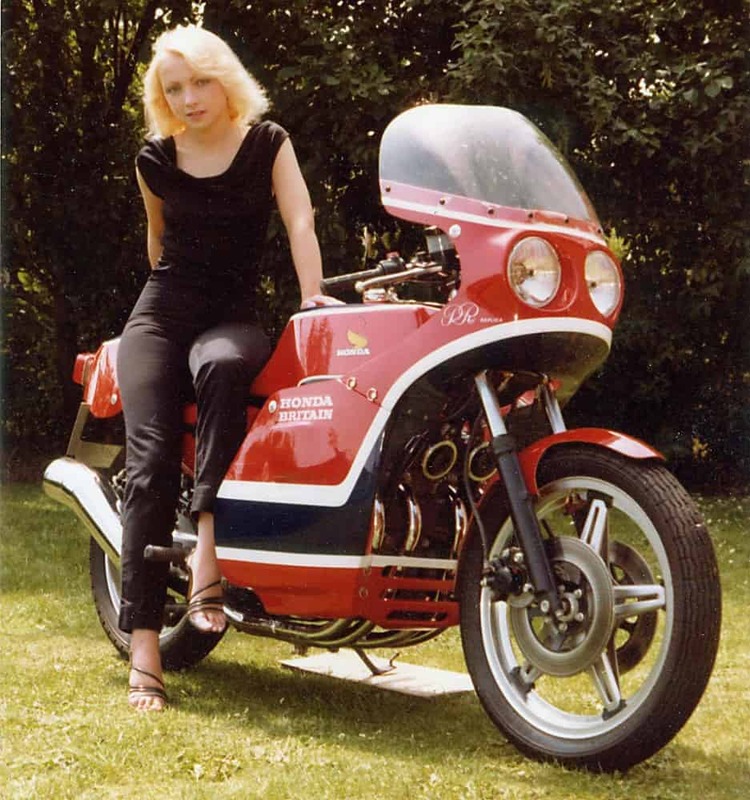 Though he started out building frames for British motorcycles he began a shift towards Japanese engines by the early 1970s. 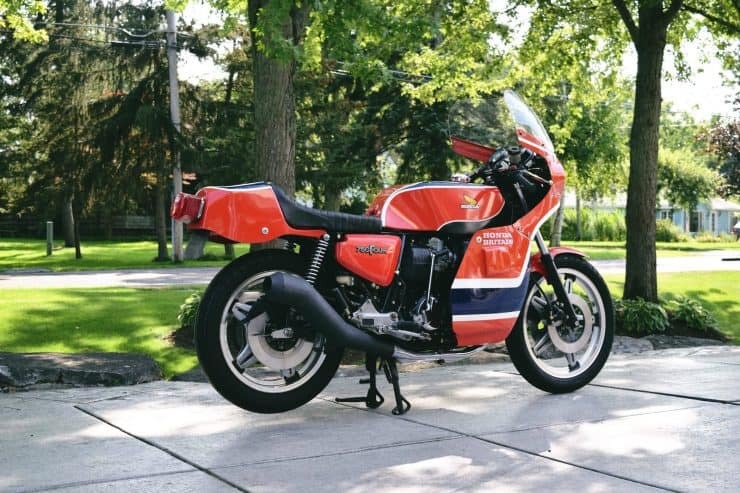 The bike you see here is a rare bird, it was commissioned by Honda to celebrate Phil Read’s 1977 Isle of Man TT victory in 1977 aboard an 820cc version of the Honda CB750 F2. 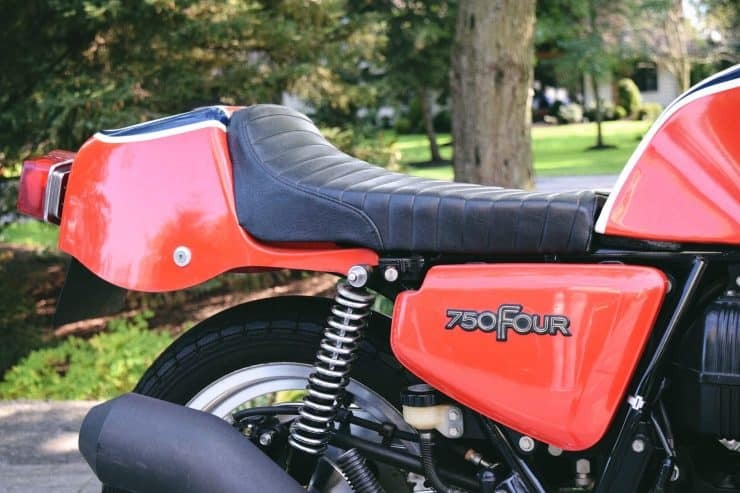 The F2 had been released a year earlier in 1976 as an upgrade over the original CB750. 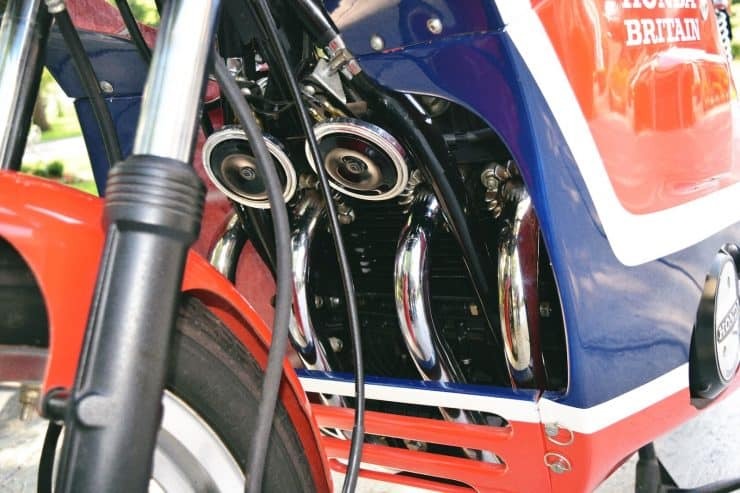 It had a new head with larger valves, a hotter cam shaft, and 28mm Keihin carburetors with accelerator pumps – this boosted power slightly to 70 hp at 9500 rpm. 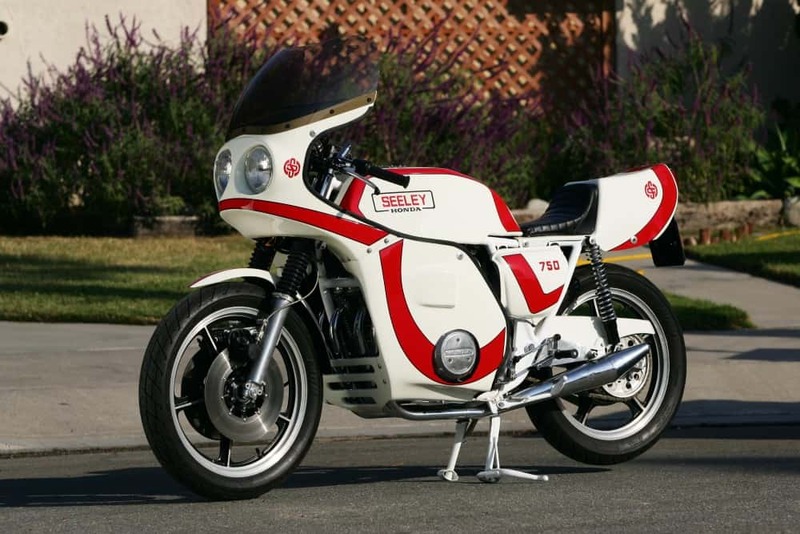 In order to celebrate their Isle of Man TT victory Honda decided to have a series of race replicas built, so they commissioned Colin Seeley’s legendary company to convert otherwise stock CB 750 F2s into official Phil Read Replicas. Seeley’s team fitted a double beam full fairing with Cibie headlights, a hand-formed 5 gallon alloy fuel tank, racing-style rear sets, a new single seat and rear cowl, a custom high-performance exhaust, and it was all finished off in the same red/white/blue color scheme used by the Honda Britain Racing Team. 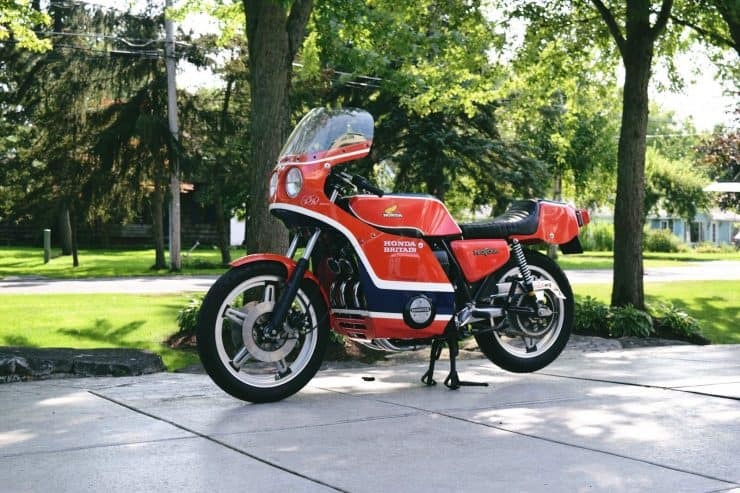 Only 150 or so bikes were built before a disagreement between Phil Read and Honda killed the project. 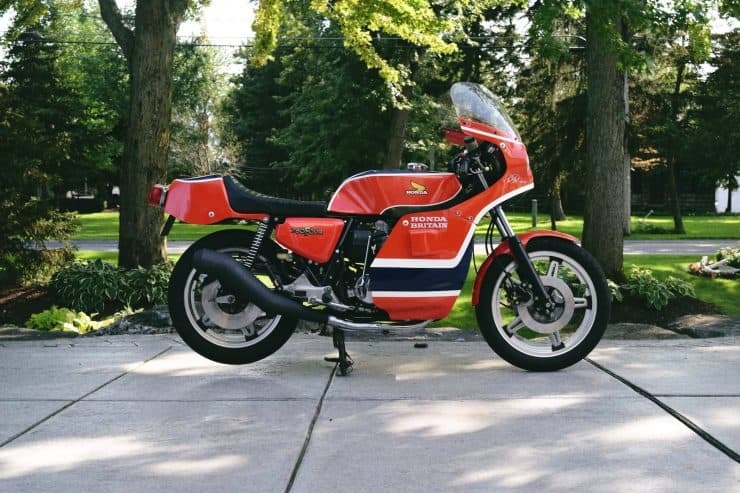 Colin Seeley remained undeterred, and slightly redesigned the model, then continued selling it as the Honda Britain, with Honda selling them as the CB750SS. 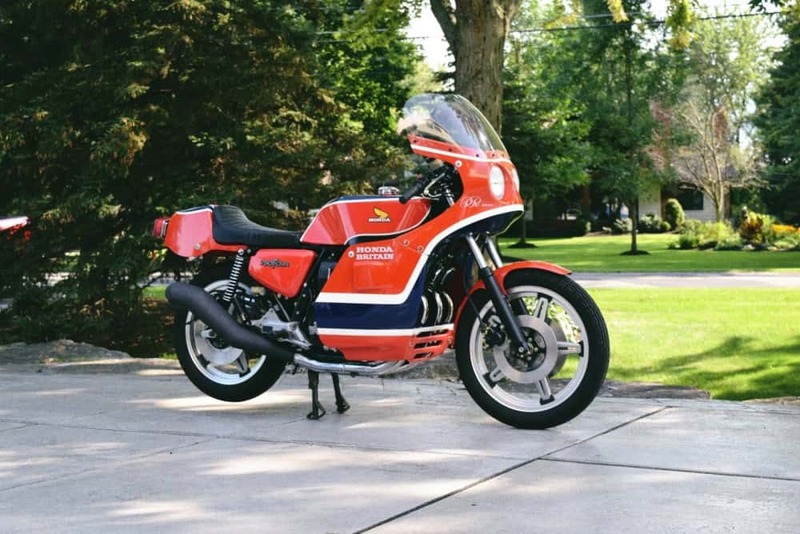 It’s thought that less than 40 original Honda CB750 Phil Read Replicas have survived, and this is one of them. Amazingly it has 0 miles on the odometer and it’s claimed that it’s never been started – making it almost certainly the most original example in existence. 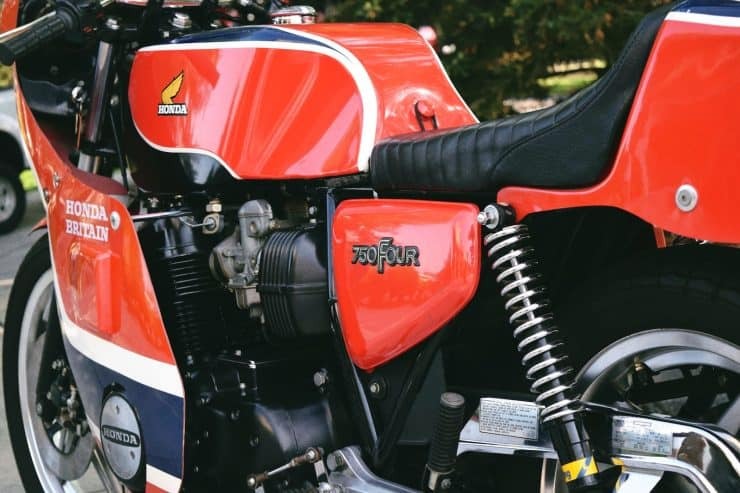 The Honda britain was rare to find back then, and even more so now, I have had a couple of Phil Read Kits but not complete, and to see one of these is so much of a thrill as I have built so many CB750 Honda’s over the years and this is a gem of a bike. 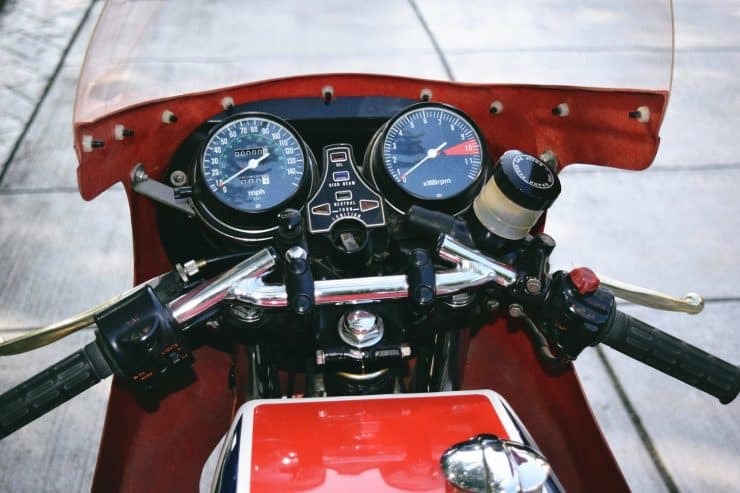 Yeah, with Zero miles too, thats rare, but I would still ride it at least once in its life as I had an Original Seeley Honda with 9/10ths of a mile on the clock and I rode it 15 miles and, so glad that I did as it is completely different to ride as the geometry is so good. These machines are so well Balanced, I cannot tell you the night and day experience it is until you get the chance to ride one of these amazing machines. 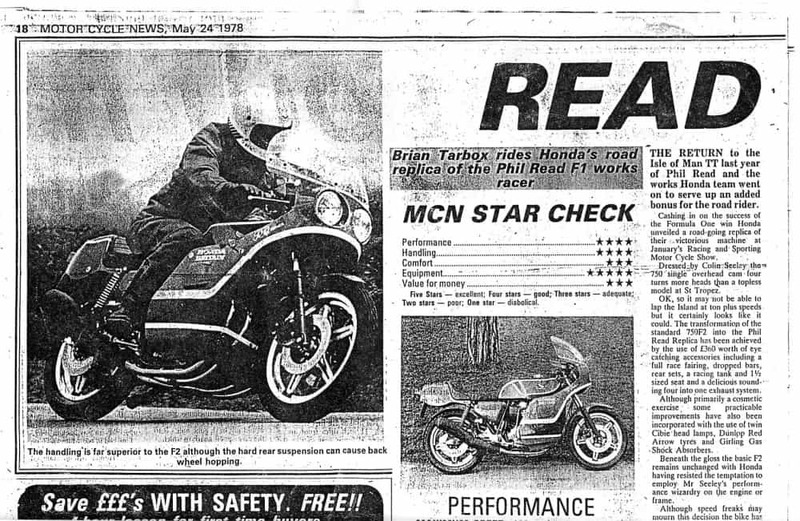 The Cibie headlights were such an amazing look for its time and the Phil Read Motorcycle was an instant Reminder of what this bike is just by the front end alone. 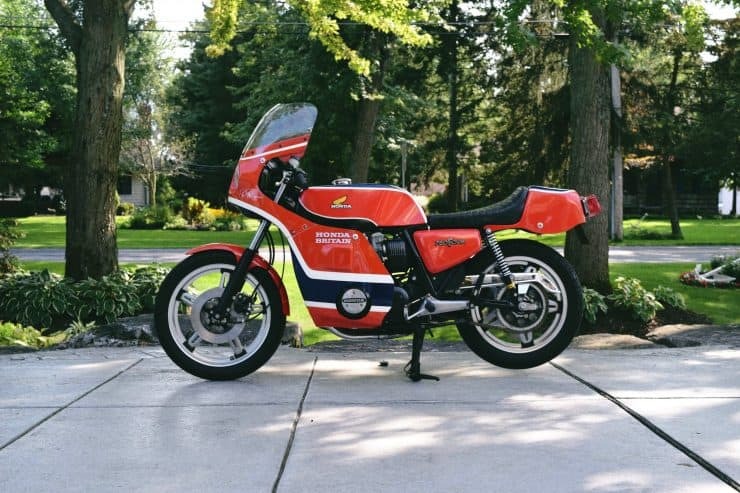 When a few Phil read kits came out, I fitted a few to stock bikes and it sure changed the look easily and now a hard item to locate at all these days in good order. 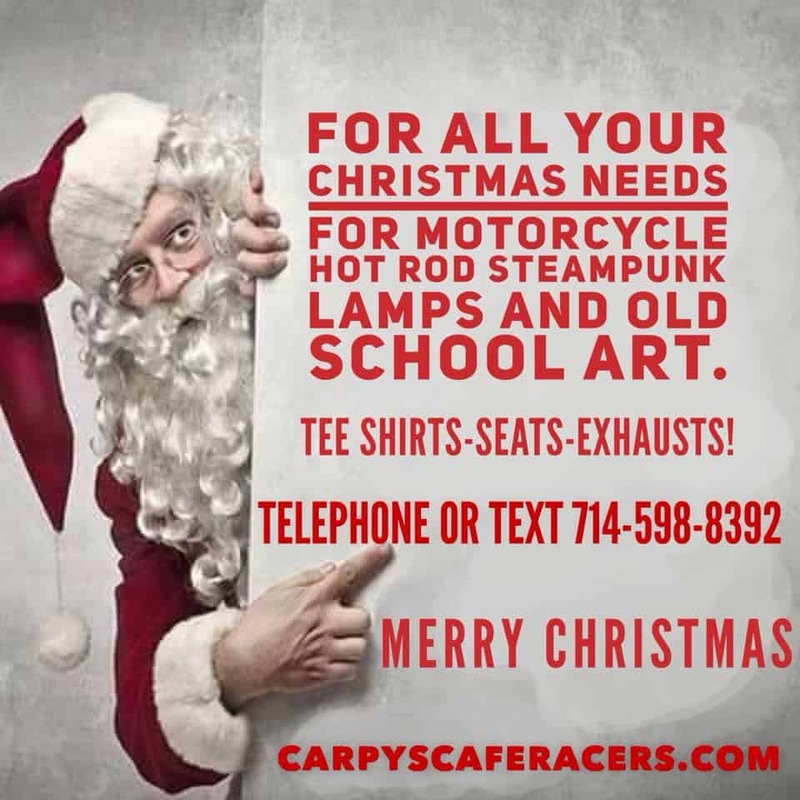 There is something about a Full fairing and as I was a Motorcycle Dispatch Rider in London, these would of been like a Cadillac for me as not only would it cut the wind down and the weather, I could store all sorts of things in the fairing. Slightly bigger headers helped the Motor breathe and Double Disc front end make sure that you could stop the increase in the power plant. 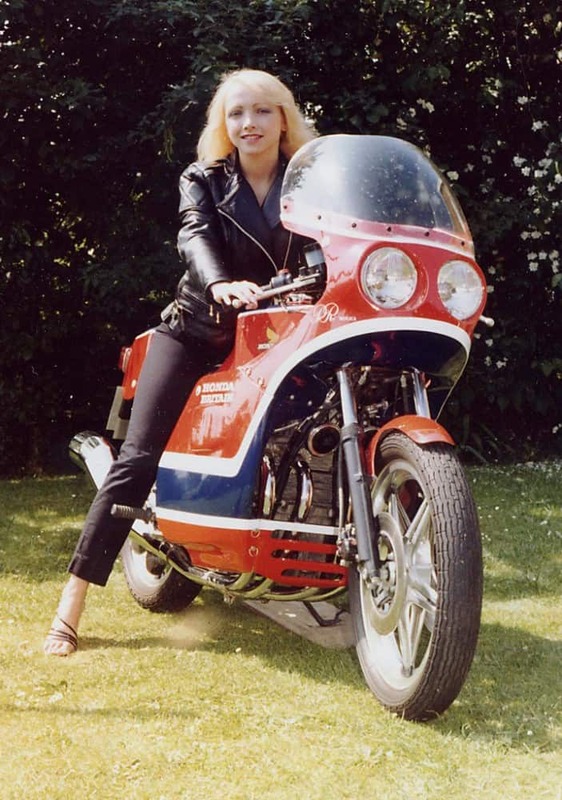 I was never a Fan of the Comstar rims, they looked cheap, were made cheaply and just didn’t have that classic look, in fact my bike had Lester Rims which were Mags and way better. What I did like was the hand formed Aluminum 5 Gallon Gas tank, it was a sturdy set up with nicely formed knee indents, but what I did notice was how much heavier the bike was when I filled this huge Petrol tank up to the brim. Up sweep 4 into 1 system sounded great compared to the original steel Cannon that Honda used as a stock version and this flowed so well. I do remember the Rubber Vacuum Cleaner belt that held the gas tank would snap from time to time, the suspension was the good old Girling shocks, you either used Girling or Koni back in the day and these were the best available for the era. 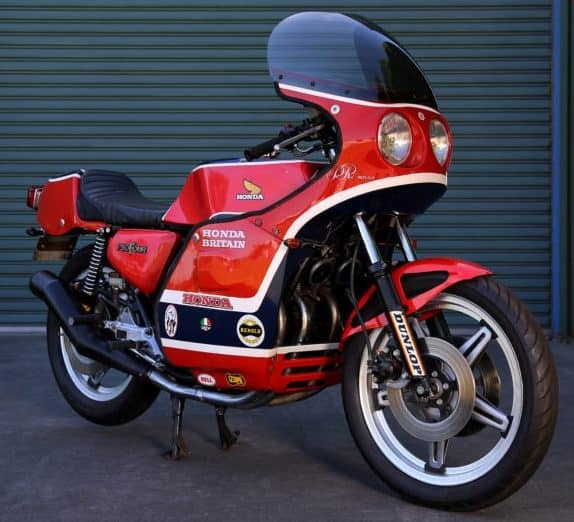 As this was a Honda Production road Race machine, it has stock rear lights and of course the main stand too, thats 12 pound you could lose right away if you removed. 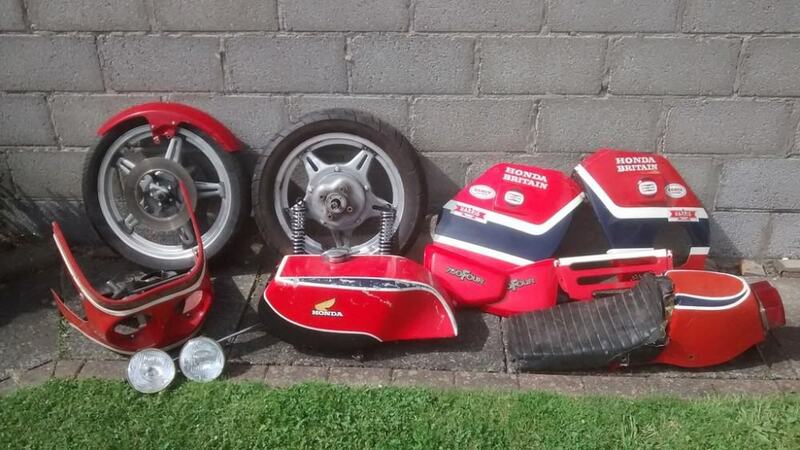 Keep your eyes out for these machines, they turn up once in a while, some may just be kits, but none the less, what a great era to relive these days. 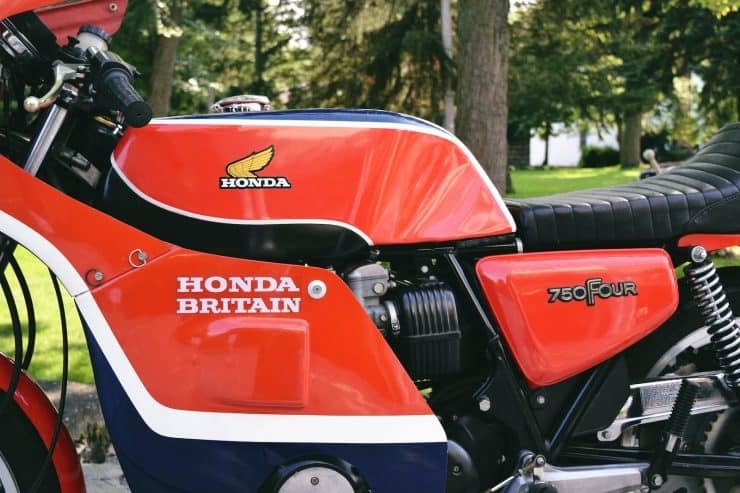 If you see some Honda Britains on the road, or at a show, take a good look at them as they are very unique, super machines and a shame they only made a handful of these motorcycles. You could buy the Body Kit for about 360 Quid and the bike would transform into a replica, albeit no extra bolt on power though LOL. Keep your eyes peeled as kits do turn up from time to time and its so refreshing to see one of these bikes on the road, I have only seen one out here but a few did make it to the states and many kits did too. Thanks for reading my Blog and have a Great week at work. 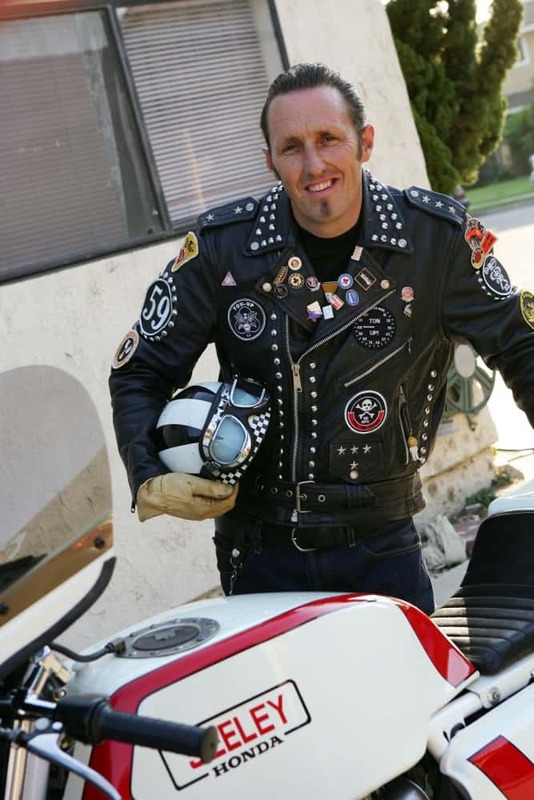 below is my Old Seeley I truly miss. 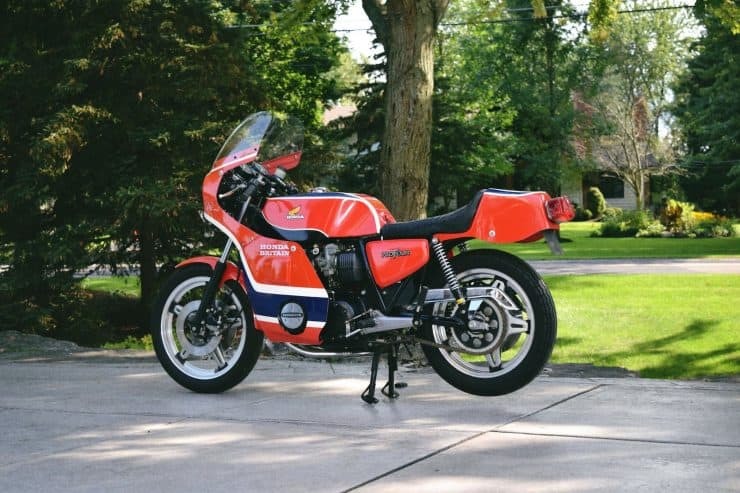 This entry was posted in Blog and tagged cafe racer, cb750f, cb750k, Cibie, custom, Factory Honda, Girling, Honda, Honda Britan, inline four, Phil Read, Replica, road racer, sohc.